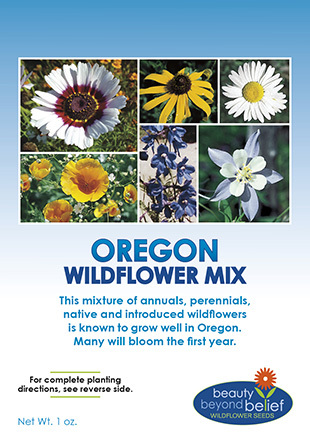 A beautiful mixture of annuals, perennials, native, and introduced wildflowers that is designed to tolerate the cooler, humid conditions typical to the Pacific Northwest from Northern California to Vancouver. The annuals will bloom the first year and the perennials will establish their root systems and many will bloom the next and following years. Reseeding with a mixture of all annuals in succeeding years will continue the flush of blooms each year.